For some reason I can not get the pamphlet pdf to load. So if you buy all three patterns you will get them for $16.00 the same price as the pamphlet. No code is needed, discount will show at checkout. 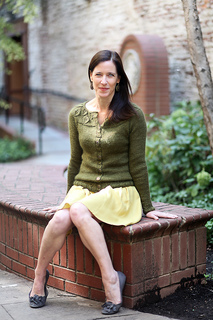 Each of the three lovely cardigans in this collection is constructed using a different top down method and a different knitting technique. 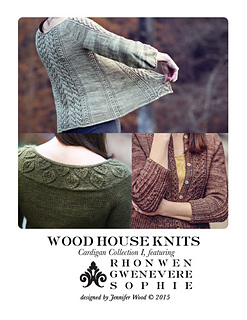 Gwenevere is a rounded yoke cardigan with a lace leaf motif worked in the yoke, bottom band and cuff. Sophie is a saddle shoulder with set in sleeves sweater with pretty cable panels. 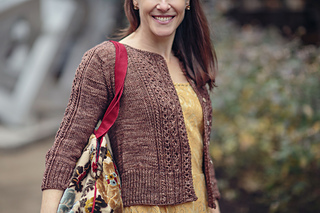 Rhonwen is a compound raglan cardigan with a decorative Aran lace pattern. So come join the wonderful world of knitting. 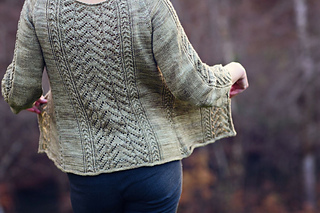 You can learn three types of construction while playing with lace and cables. Your reward—delightful cardigans.